The Northstar collection from Elmira Stove Works has a new member – the 1945 Beverage Refrigerator. The appliance combines iconic 1945 styling with the amenities of a modern appliance. 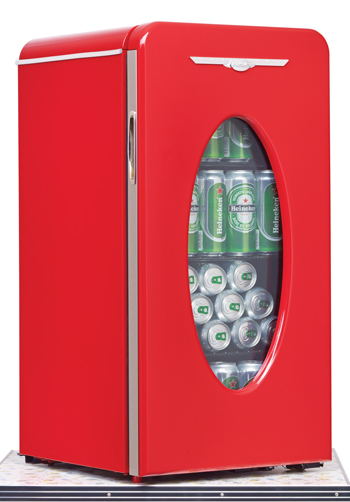 In addition to chilling up to 120 cans, the 3.3-cu.-ft. beverage fridge can accommodate wine and other bottled drinks. With four adjustable wire shelves, the 34-in. x 18-in. x 20-in. unit comes with a variable temperature control, interior lighting and a retro porthole window. The Northstar beverage refrigerator retails at $1,195 and is available in nine standard colors, with custom options available. If you combine this with the Northstar Keg Refrigerator in textured black, you could create a Man Cave with a throw back feel. 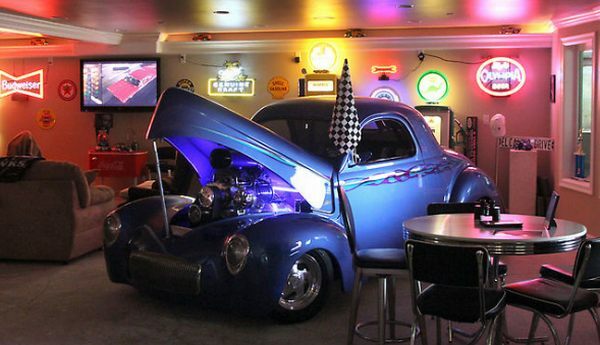 If you prefer the candy red, a hot rod themed party room could become the center attraction of a home. Elmira’s connection to antique appliances dates back three generations. Founder Tom Hendrick’s father supplied wood burning cookstove parts to local Mennonites from his hardware store in Elmira, Ontario. In 1975, Tom saw an opportunity to supply not just parts, but complete cookstoves, to the local market and, potentially, all of North America. He acquired the rights for the Findlay Oval cookstove, and began manufacturing in what had been a chicken barn on the outskirts of the small town of Elmira. 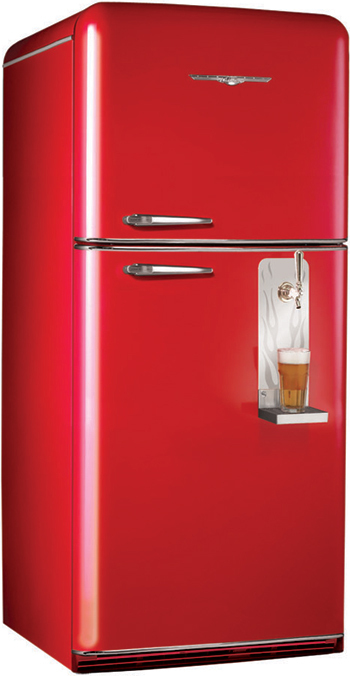 In 2001 Elmira added 1950′s-styled fridges to its 1890′s-styled appliances. The fresh colors – Candy Red, Robin’s Egg Blue, Buttercup Yellow, Flamingo Pink, Mint Green; along with more subtle Black, Bisque , White and Quicksilver– smooth curved lines and bright chrome accents, were an immediate hit. Drawn by the trend to reminiscent styling, a younger group of consumers quickly adopted Elmira’s Northstar line as its own answer to throwback “antique” styling. Over the next twelve years, the Northstar line expanded to include refrigerators, keg fridges, ranges, range hoods, splashbacks, microwaves and dishwasher panels. An original point of view to a design of interior.